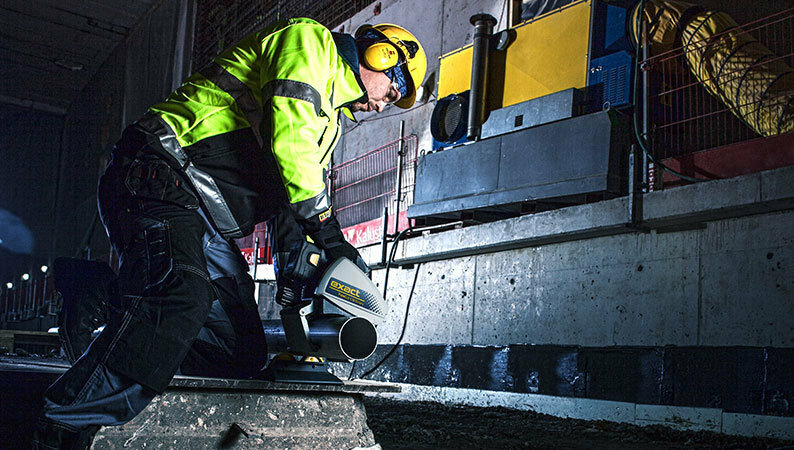 We use the Exact 280E pipe cutting saw daily. We cut sleeves anywhere from 3" schedule 40 to 10" schedule 40 steel pipe. Cutting pipe to be grooved later is fast and the new saw always cuts square. There is no grinding and it's always a nice clean cut. A job foreman will call the prefab shop and ask for pieces to be cut, no time wasted setting up a hydronic cutter for 2 cuts. We just grab the Exact from the gang box and cut what we need. Whether it is 2 pieces or 25 pieces, it's a lot quicker with the Exact. This tool is a real time saver. 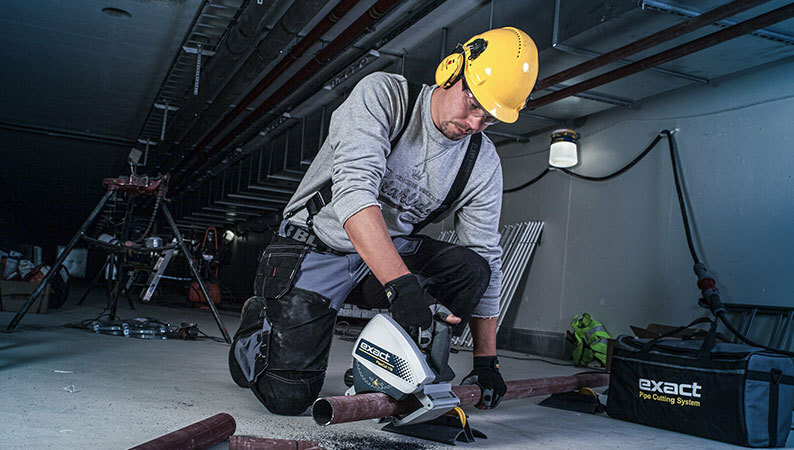 The Exact Pipe Saw is an extremely easy tool to use and requires minimal layout and set up. 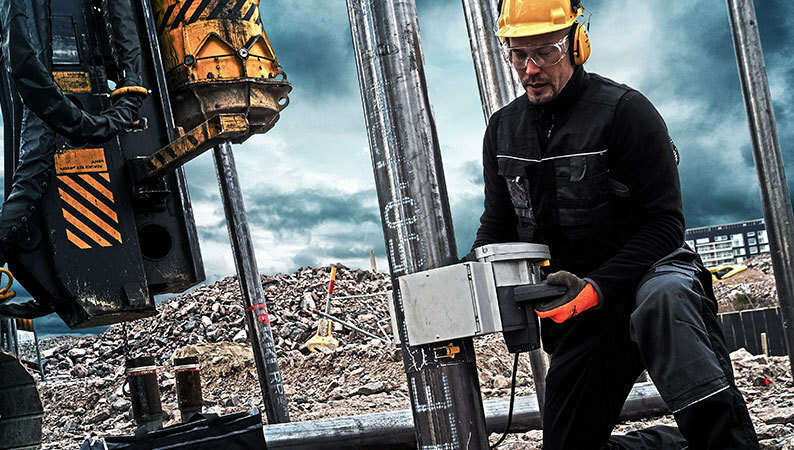 It is also convenient that the saw is adjustable and able to cut through various sizes of pipe. 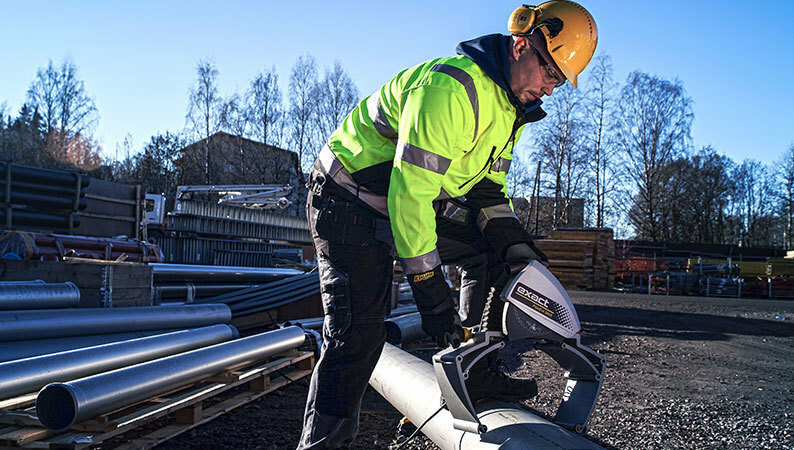 Another plus is that this saw cuts at a nearly perfect straight cut each time, making it more dependable than even some of our table saws. It is fairly lightweight and easy to use, which comes in handy on the road as well as in house. 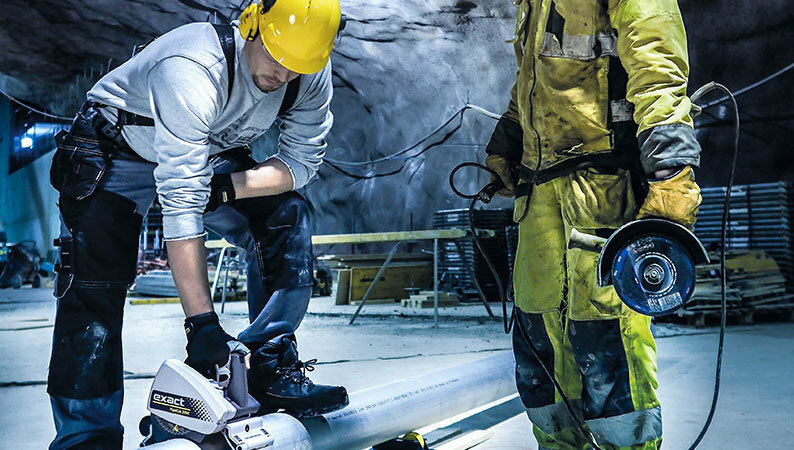 The roller stands for the pipe are also incredibly convenient and lessend the chance of injury since the pipe to be cut does not have to be lifted very far off the ground to be placed on the stands. 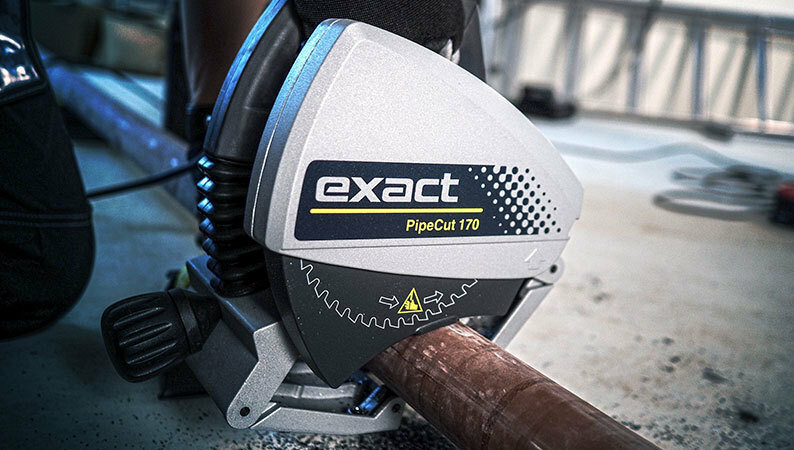 Overall, we are very satisified with our purchase of the Exact Pipe Saw and would recommend this tool based on its performance and ease of use. Bay State Industrial Welding & Fabrication, Inc.